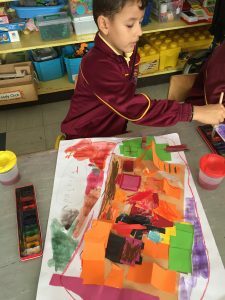 In class the children were learning about types of homes. 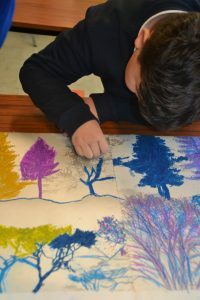 They started by discussing all the different types, then went on to draw and paint them. 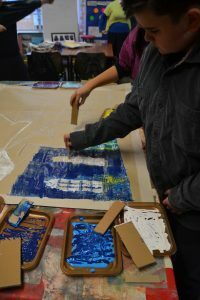 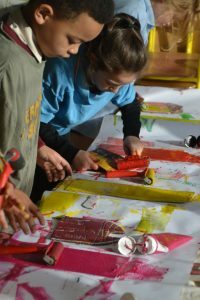 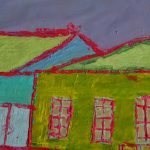 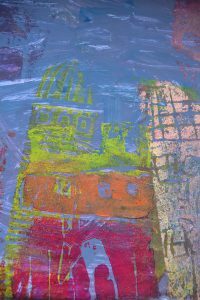 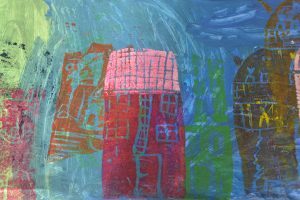 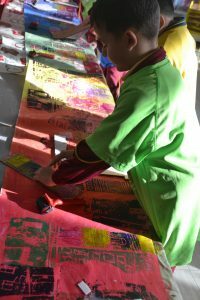 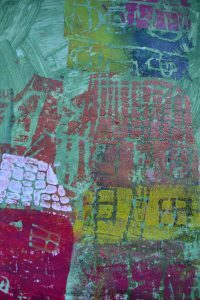 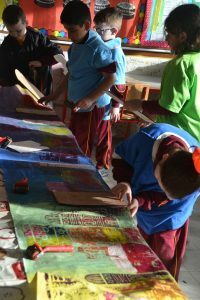 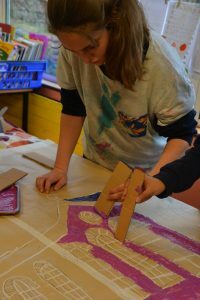 The children then made printing blocks of their houses. 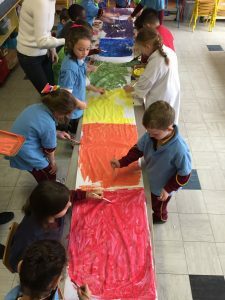 we did a workshop on colour, mixing and blending colours . 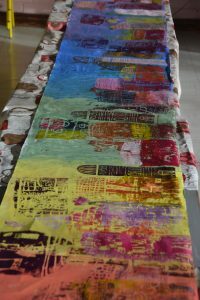 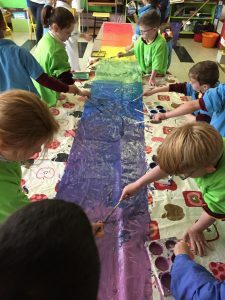 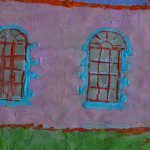 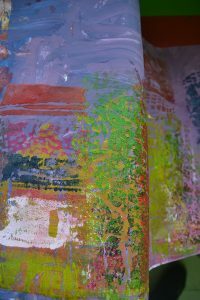 To finish the children painted out a large roll of wallpaper , blending their colours as they went. 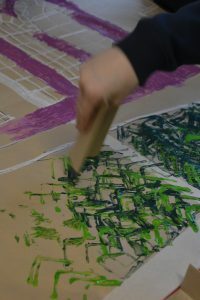 we used this to print the buildings on to. 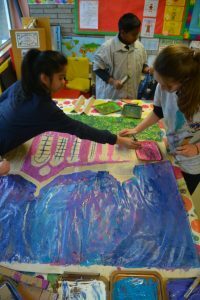 This acted as a great backdrop to their colourful work. 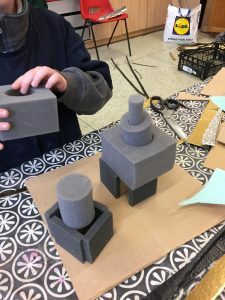 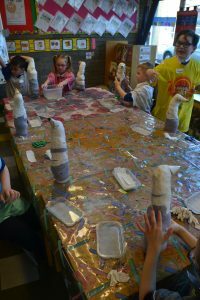 Then they worked on clear contact paper and tissue paper to create imaginary buildings. 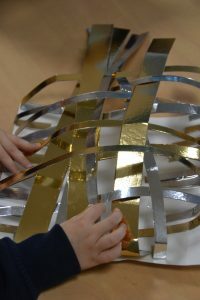 we would used these to brighten up the coridor as the light could shine through. 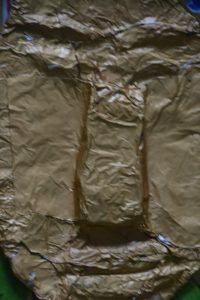 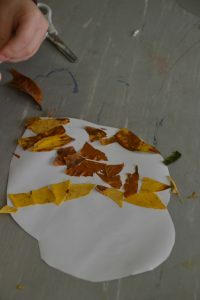 I showed the children some very simple techniques using the tissue paper. 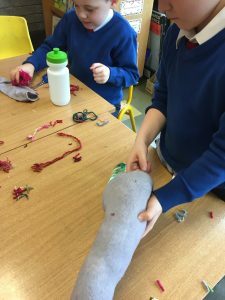 They came up with some very impressive ways of using it for themselves. 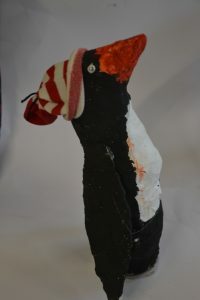 Far more sophisticated than i had shown. 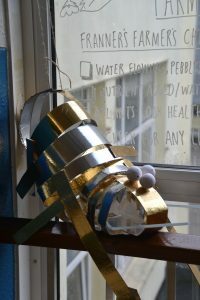 I was very impressed with their inventiveness. 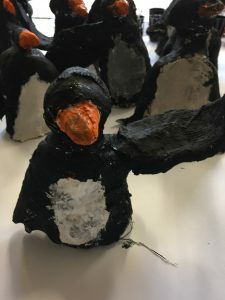 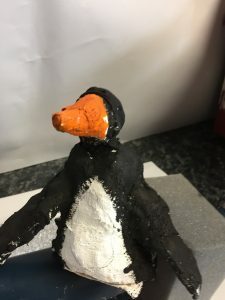 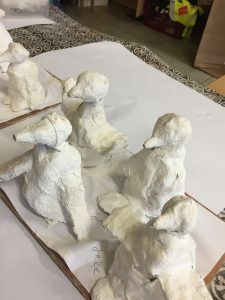 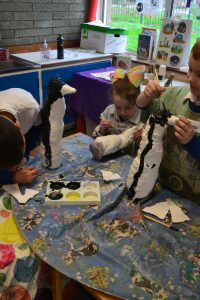 The children were learning all about life in Antarctica so we decided to focus on this, we started by looking at penguins and talking about their habits and way of life. 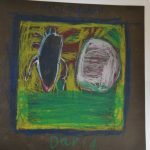 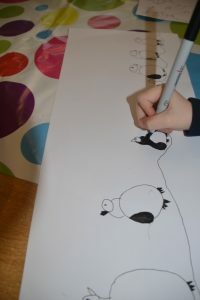 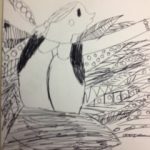 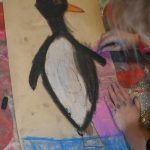 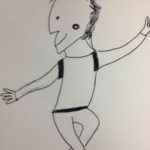 the children began by making drawings in black marker of penguins having fun. 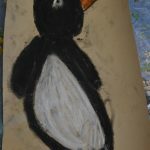 we discussed making drawings of penguins in different positions, looking up, looking down, looking to the left , looking to the right. 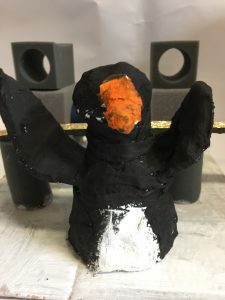 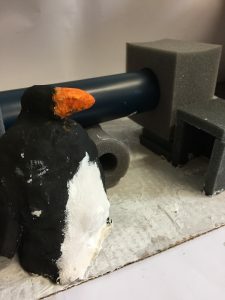 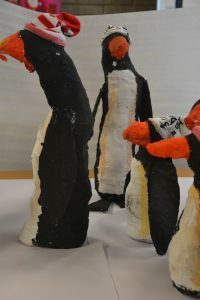 we decided to make models of the penguins. 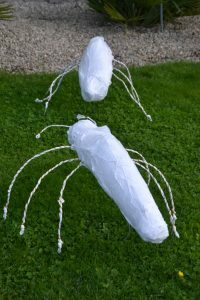 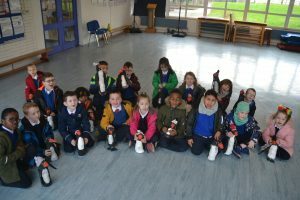 i asked the children to start bringing in large plastic water bottles, as these would be used to form the main structure of the penguin. 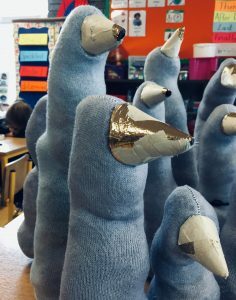 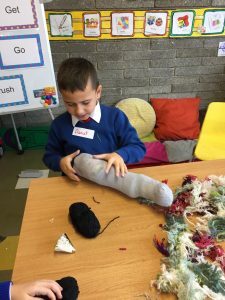 I gave each child a sock and they filled it with wool to form the head. 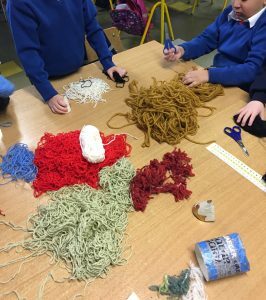 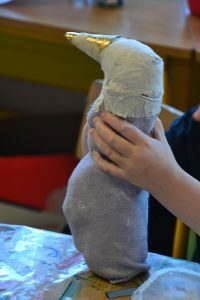 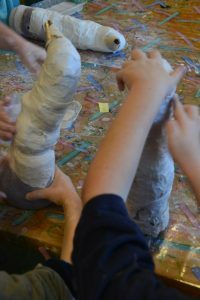 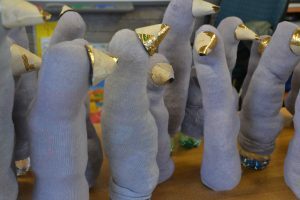 each child then pulled the complete sock over their bottle and stuffed it with more wool to form the body. 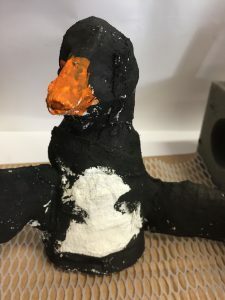 They had to decide now what position they wanted their penguin to be in. 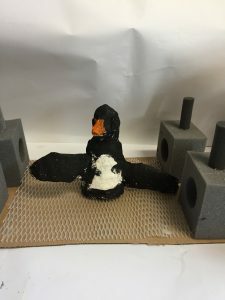 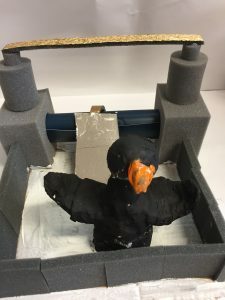 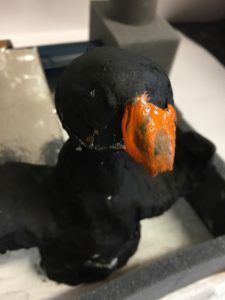 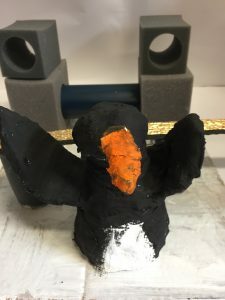 They learned how to make a cone shape for the beak from insulation roll. 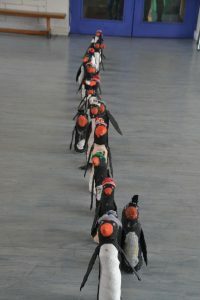 We gathered all the penguins together to see how they looked as a group. 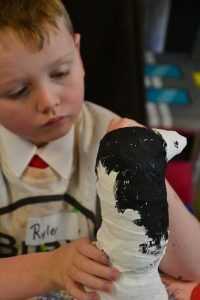 the children then began covering their penguin structures with mod roc. 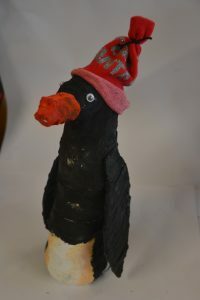 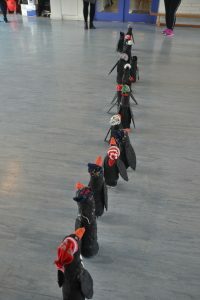 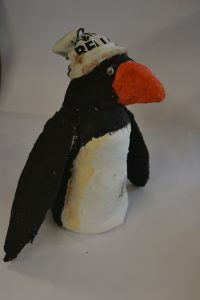 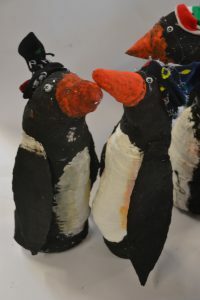 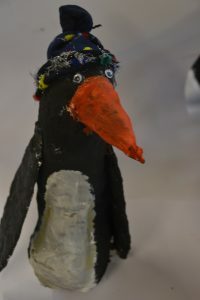 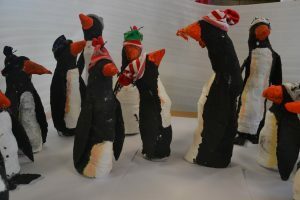 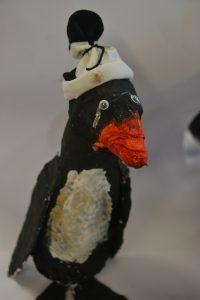 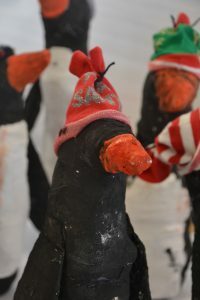 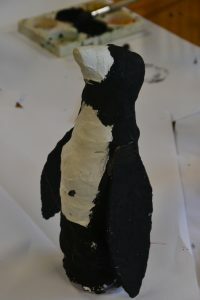 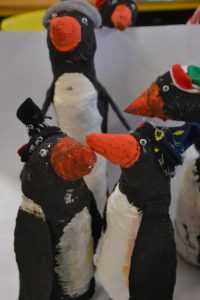 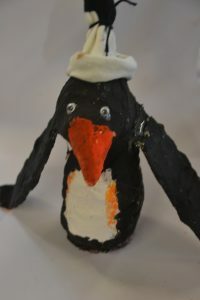 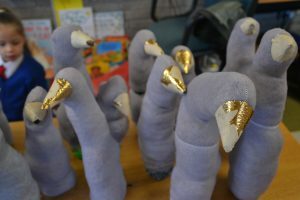 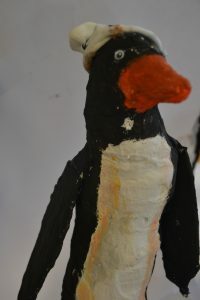 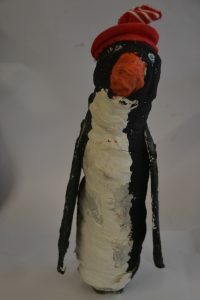 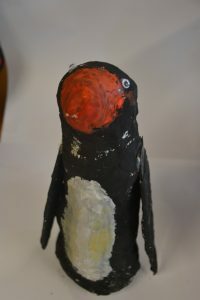 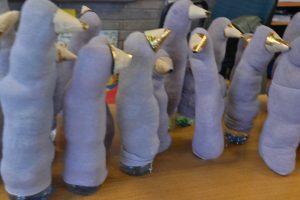 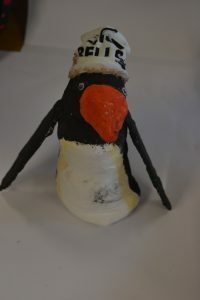 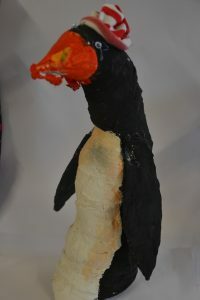 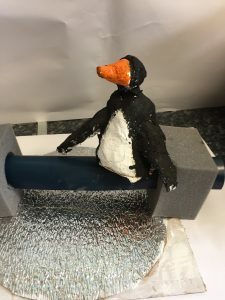 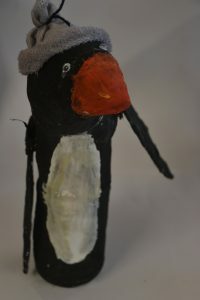 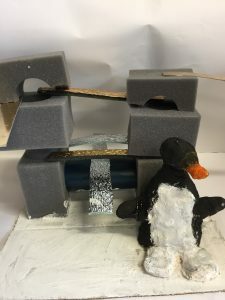 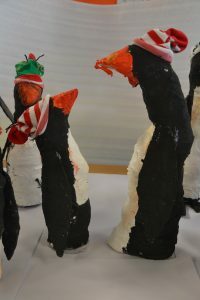 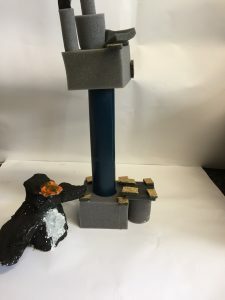 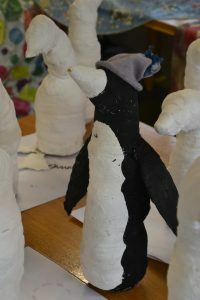 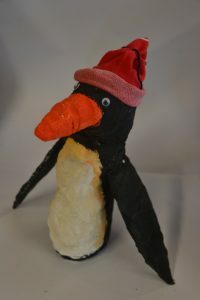 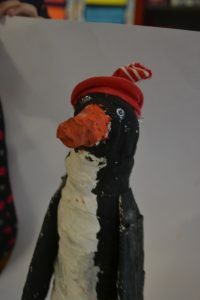 This would make their penguins really strong and enabled the children to capture and freeze their penguin pose. 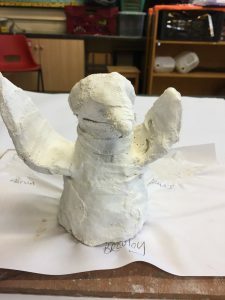 wings and feet were added, the children couldn’t wait to paint them. 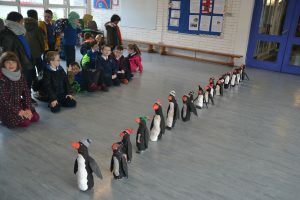 Our plan was to to recreate the March of the penguins but to bring them through the school. 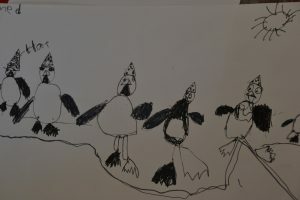 I took lots of photos of the penguins on their journey. 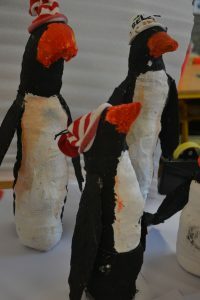 At each point every child had a different fact about life in Antarctica and they shared their knowledge with the group. 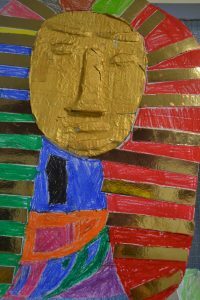 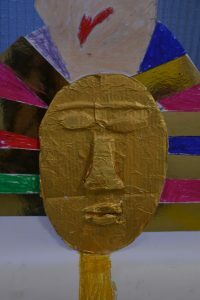 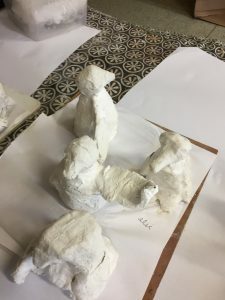 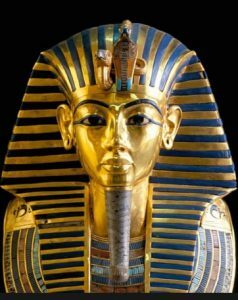 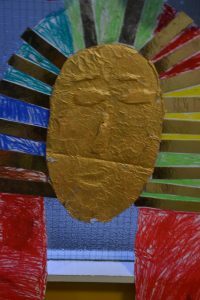 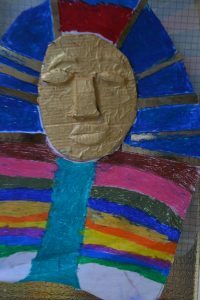 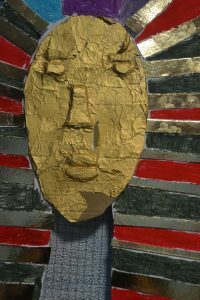 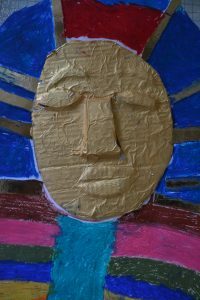 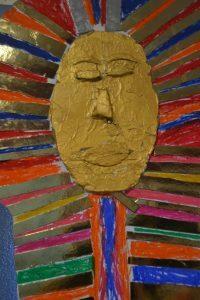 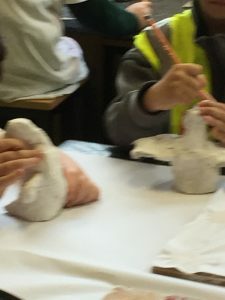 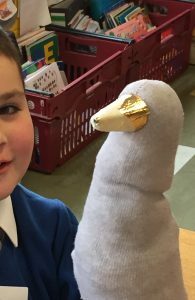 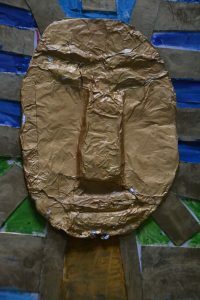 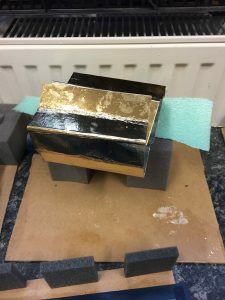 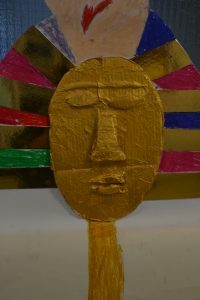 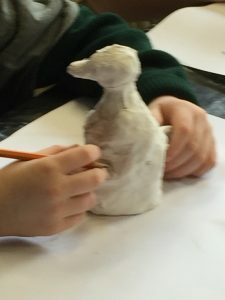 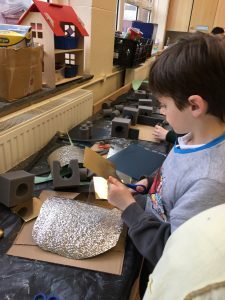 The children were learning about ancient Egypt, we looked at Tutankhamun, who was an Egyptian pharaoh of the 18th dynasty.Throughout the making process i asked the children to discuss different facts about ancient Egypt. 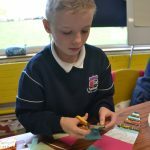 Each table took turns in sharing their knowledge. 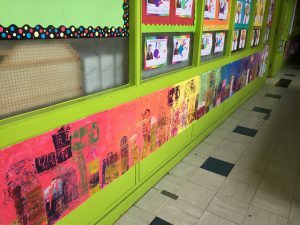 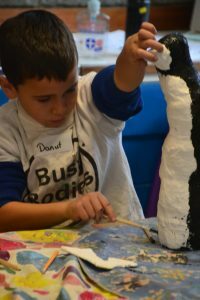 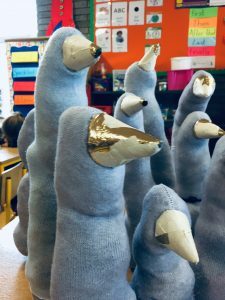 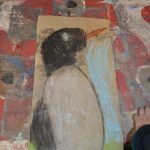 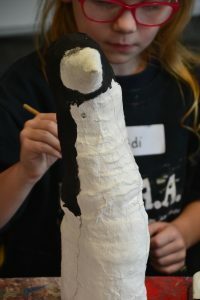 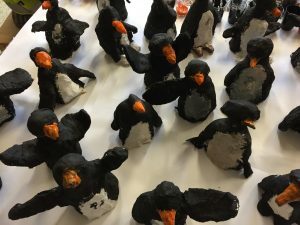 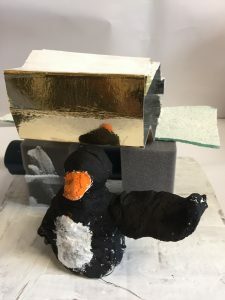 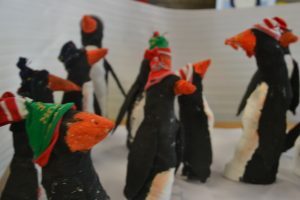 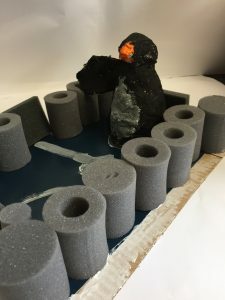 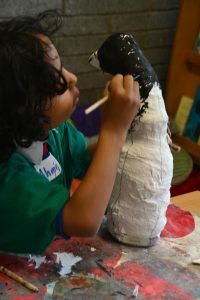 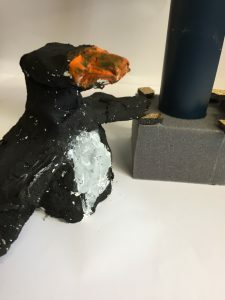 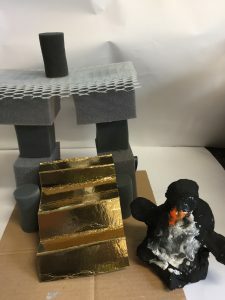 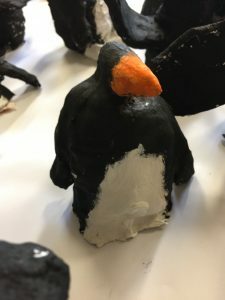 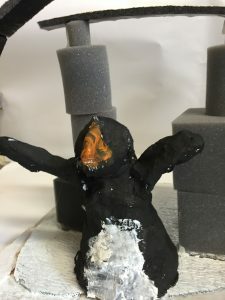 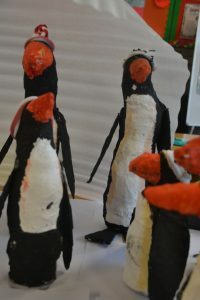 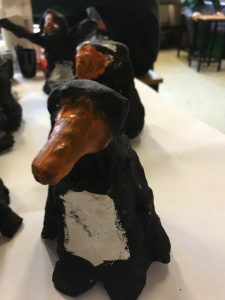 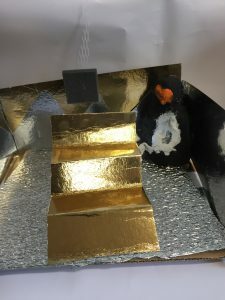 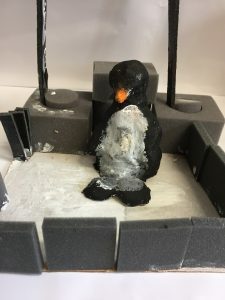 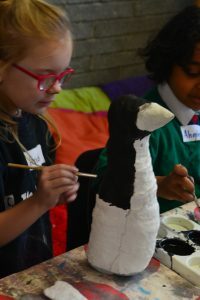 they painted their penguins and created imaginary environments for them to explore. 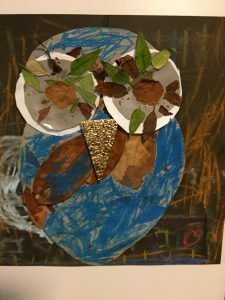 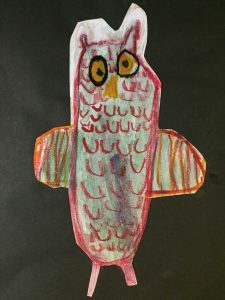 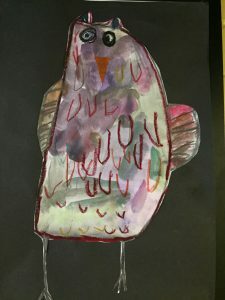 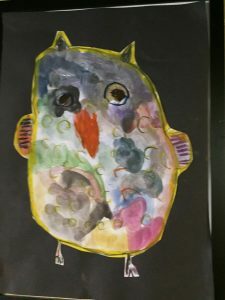 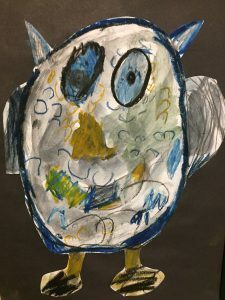 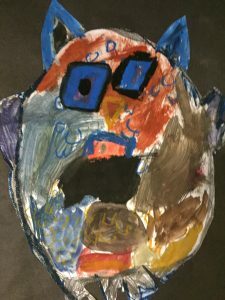 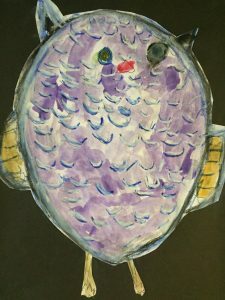 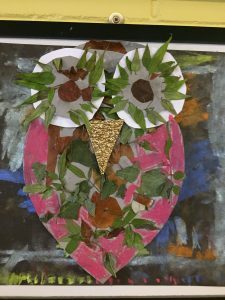 The children were reading Owl Babies with their teacher, so we decided to focus on drawing, making and painting our own owls. 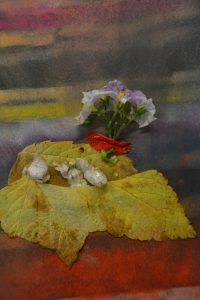 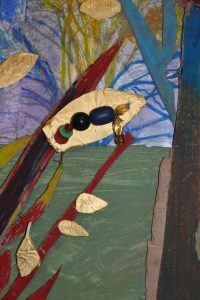 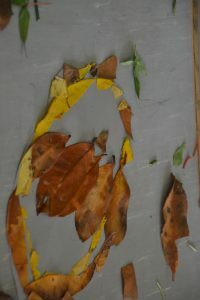 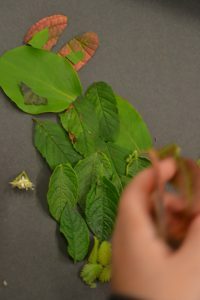 I gathered a selection of leaves , stems, foliage in a range of colours. 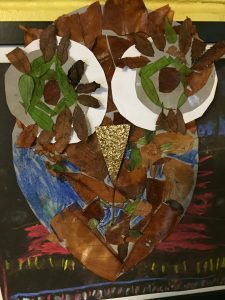 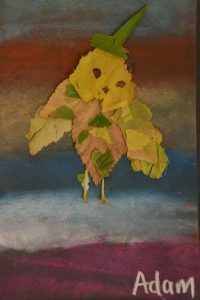 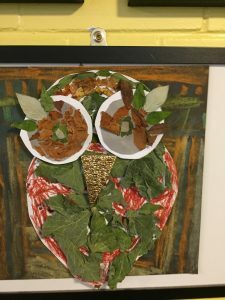 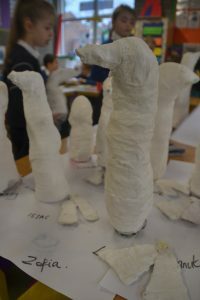 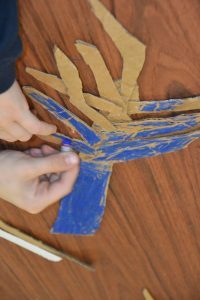 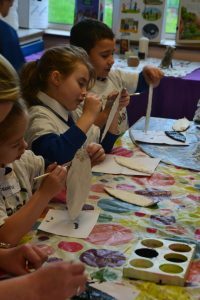 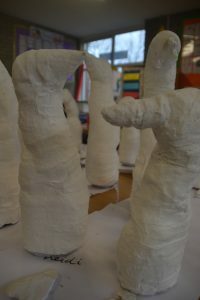 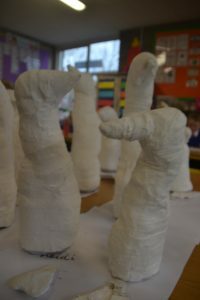 the children used these to create the body of the owls on stick contact paper. 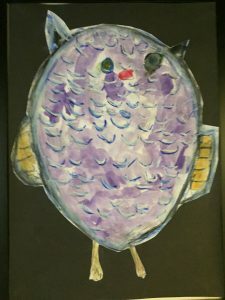 they also made paintings of owls. 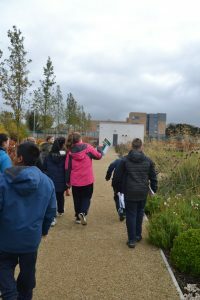 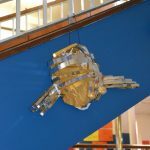 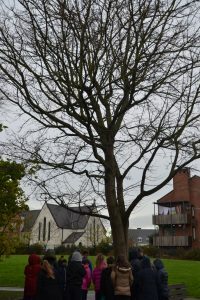 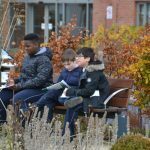 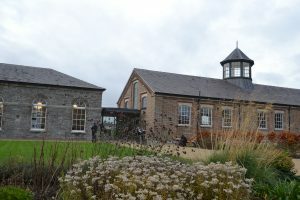 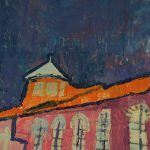 We decided it would be a good idea to try and connect with our locality and focus on a building very close to the school . 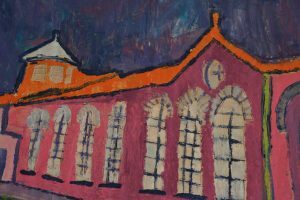 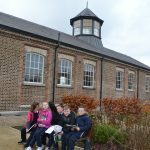 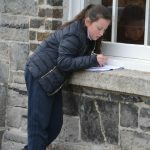 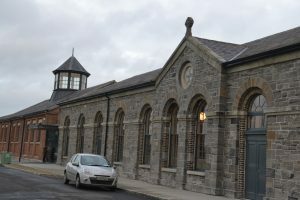 The barracks is situated directly opposite the school and the children pass it every day. 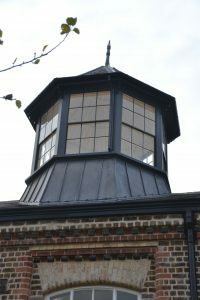 We were very kindly given permission to visit the building . 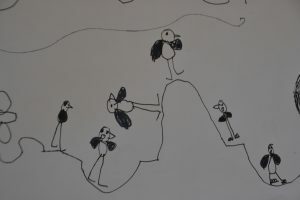 we started off by making preliminary sketches of what was around us. 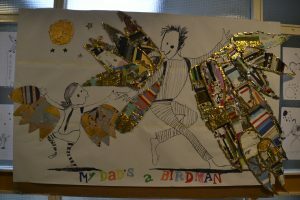 The children were amazing!!!! 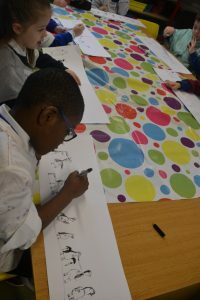 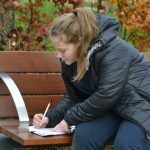 so focused and eager to draw and draw and draw…..
After our successful afternoon of sketching, we arranged to return the following week and have an art session inside the building. 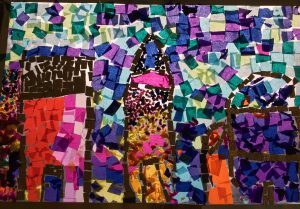 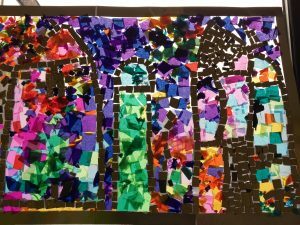 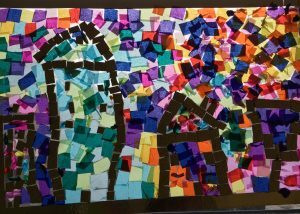 We decided that we would do some collaborative art works. 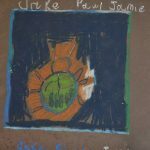 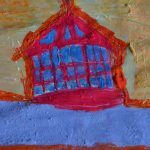 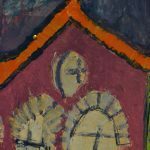 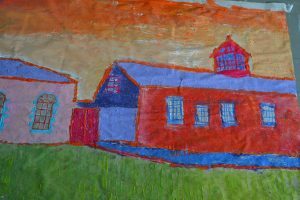 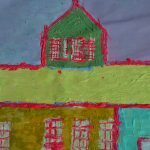 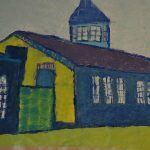 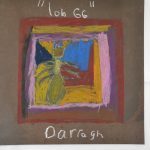 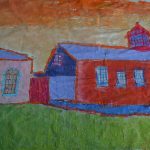 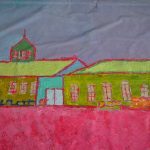 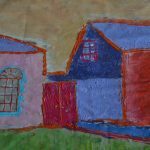 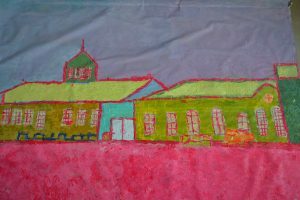 We divided the children into three groups and projected photographs of different views of the Barracks on to large sheets of brown paper. 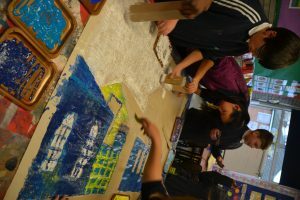 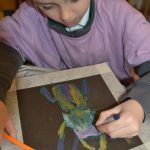 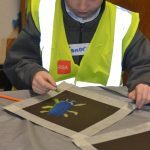 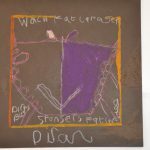 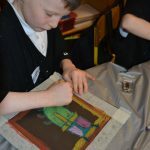 The children worked in groups to transfer the images to paper. 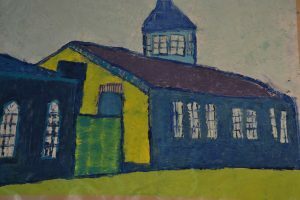 And this is where the children came into their own. 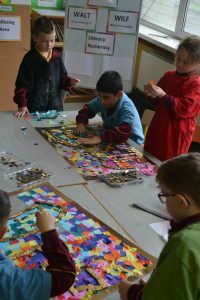 In their individual groups they worked out colour combinations for their paintings. 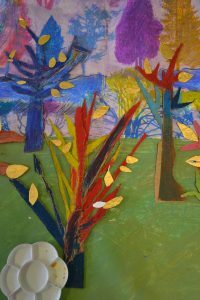 rather than use brushes, I gave the children heavy card cut into different widths. 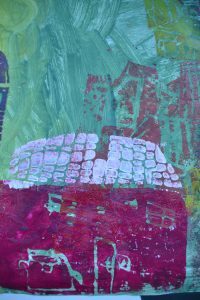 Using the card they applied the paint, building up layers of texture and colour. 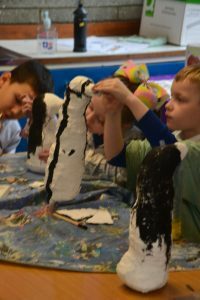 It began with Davids class taking a trip to “Sculpture in Context” at The Botanical Garden. 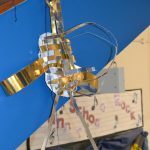 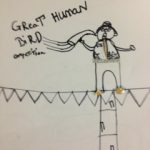 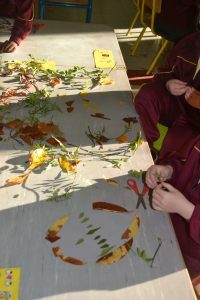 We were in search of some inspiration for work to carry out back at the school. 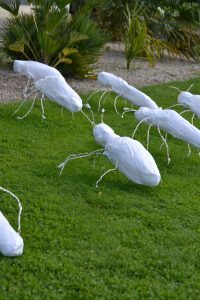 The boys loved the giant insects crawling towards the hot house. 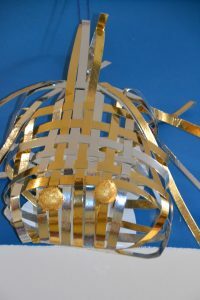 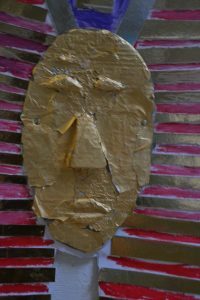 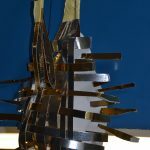 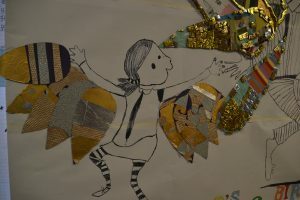 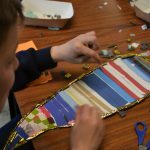 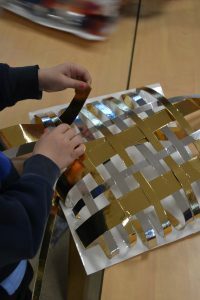 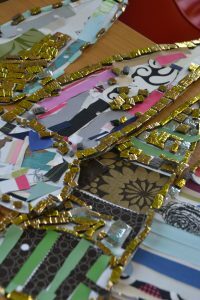 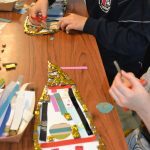 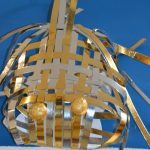 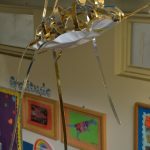 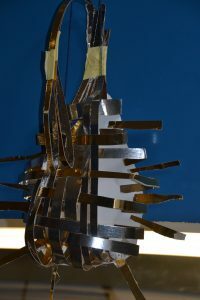 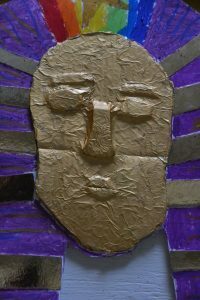 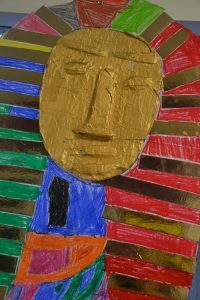 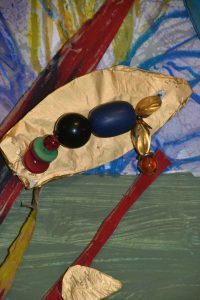 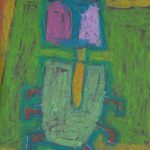 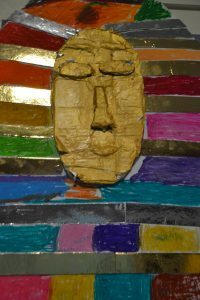 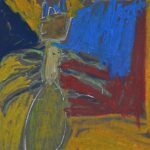 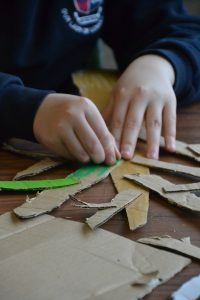 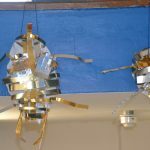 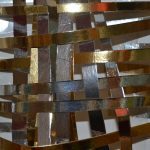 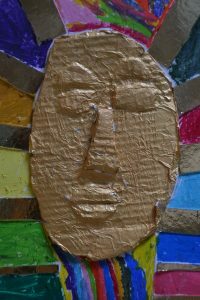 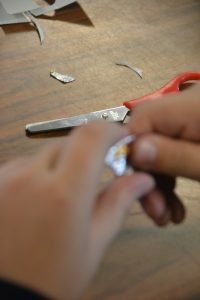 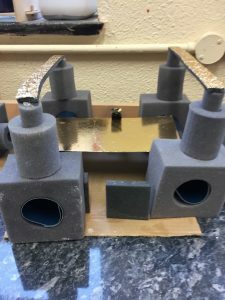 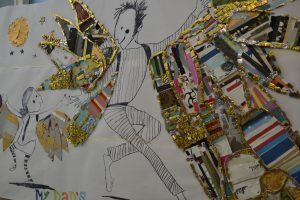 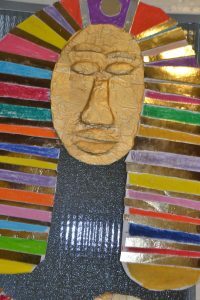 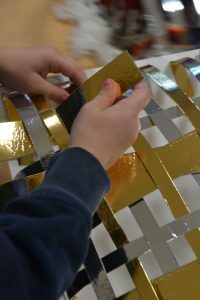 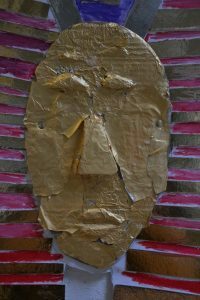 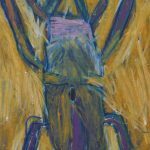 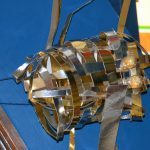 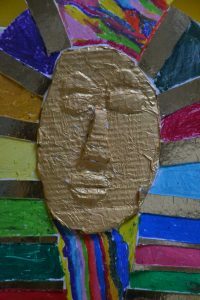 Back at school the boys began by weaving the insects bodies using gold and silver card. 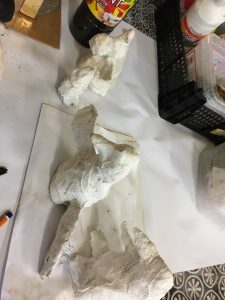 Once the main bodies were constructed , they focused on adding details like , legs, antenna, wings and eyes. 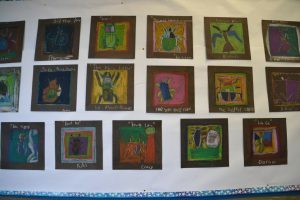 We then hung them up throughout the school. 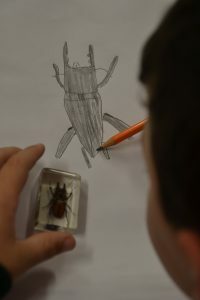 Inspired by a school full of golden insects, Sarah’s class continued by examining insects trapped in arcylic blocks and seeing how many parts made up each insect.We studied the different shapes within each insect and discussed how we might draw them. 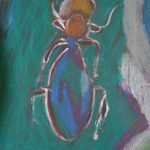 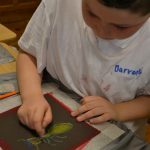 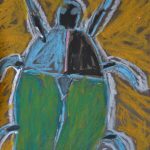 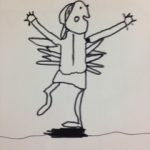 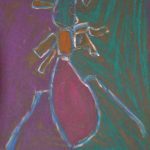 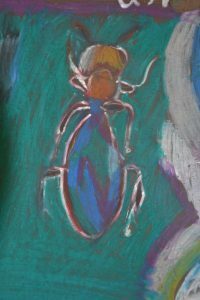 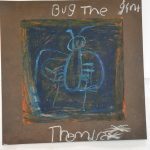 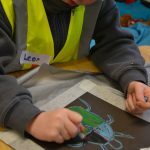 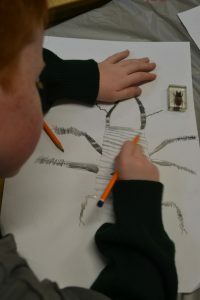 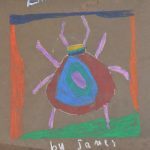 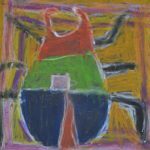 The boys started by making drawings of the insects in pencil. 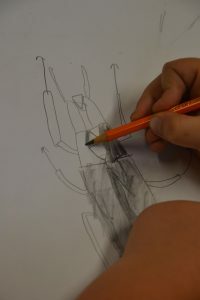 They used different grades of pencil, 2b, 4b and 6b to achieve differences in tone within their drawings. 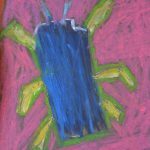 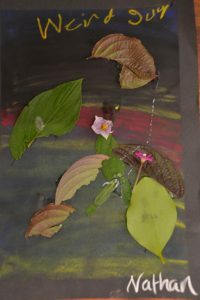 we they moved on to oil pastel on black card. 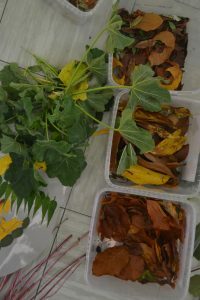 From examining the insects the boys noticed that they had a huge range of colours. 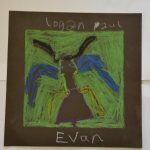 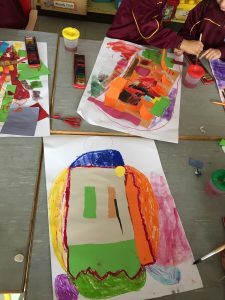 This time I encouraged the boys to make their drawings using whatever colours they wanted. 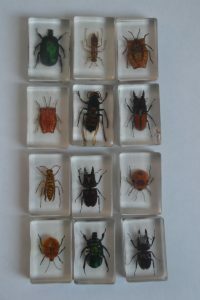 To make their insect unique to themselves. 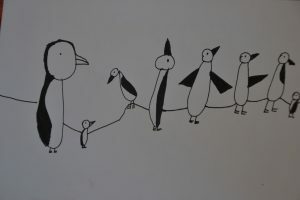 We also talked about using the complete page to fill it with their drawing. 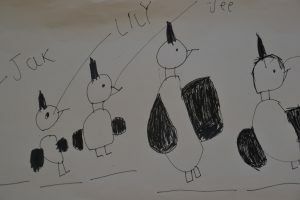 we then made then displayed the drawings outside their classroom. 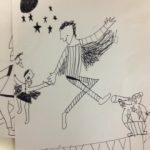 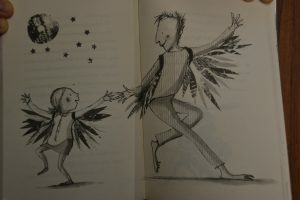 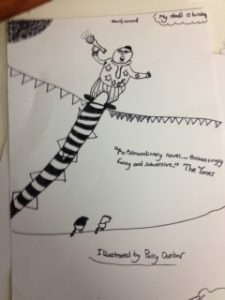 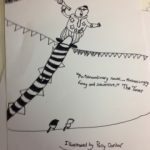 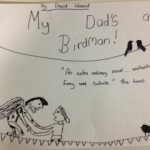 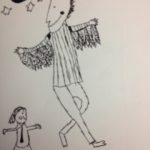 Taking inspiration from their class novel , The children made illustrations using black pen and marker. 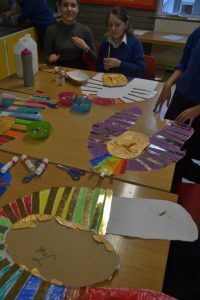 we then decided to make some giant wings of our own. 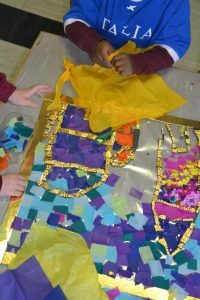 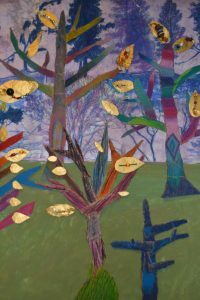 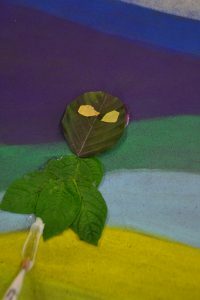 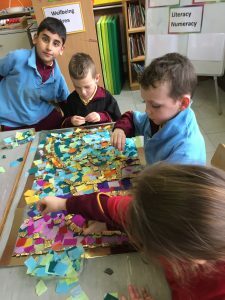 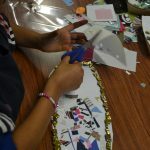 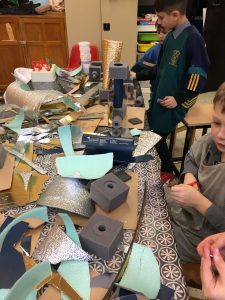 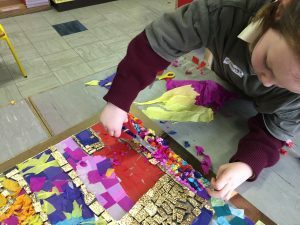 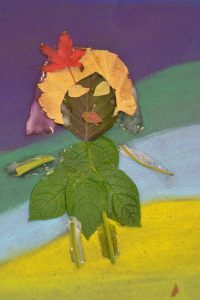 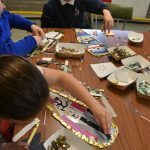 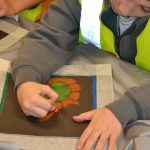 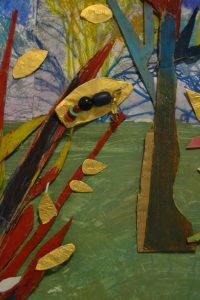 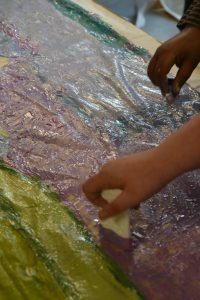 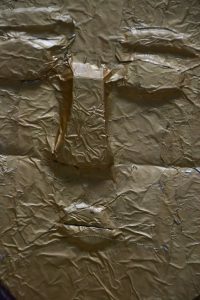 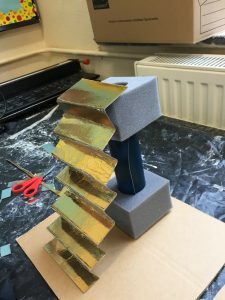 using fabrics and wallpapers , gold card and gold foil the children created patterns and textures to individual leafy shapes. 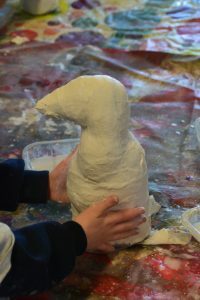 The plan being to put all the shapes together to form one large wing span. 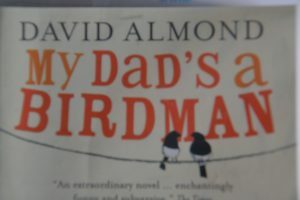 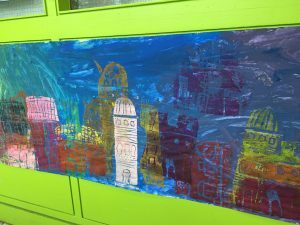 We then projected the front cover on to a large sheet of paper. 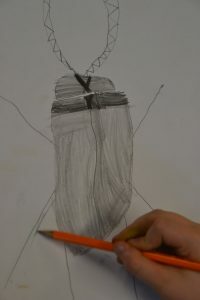 Once the outline was drawn the children worked on adding the finer details to the drawing. 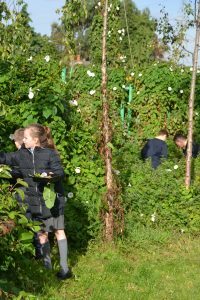 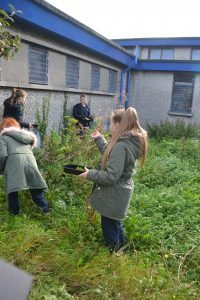 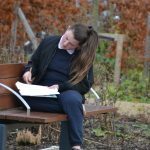 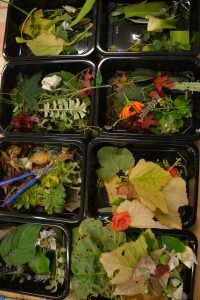 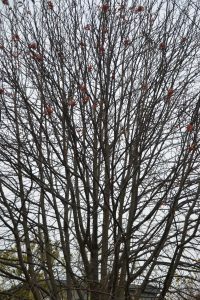 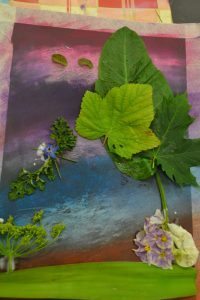 We started by heading out to the small garden space at the school to explore and search for different shaped foliage, petals berries anything at all that was natural. 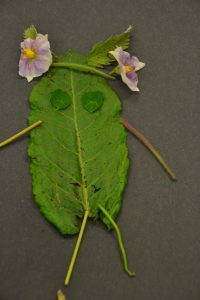 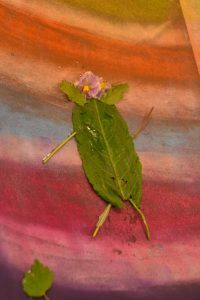 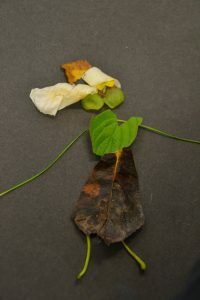 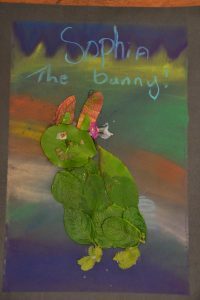 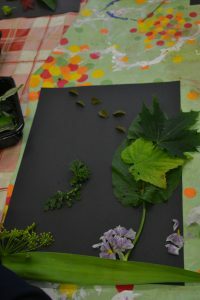 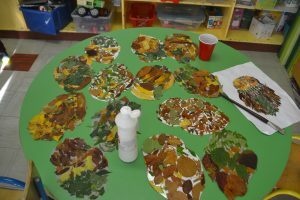 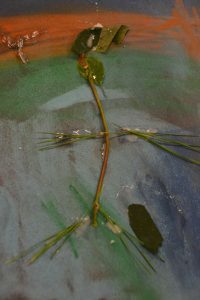 The children collected foliage of different shapes and colour. 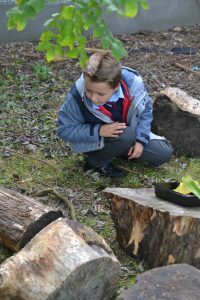 Back inside we examined closely what had been found and began playing around with the found natural objects to make them into something else. 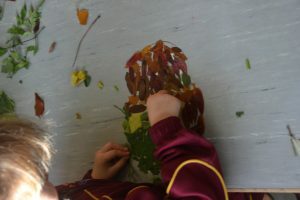 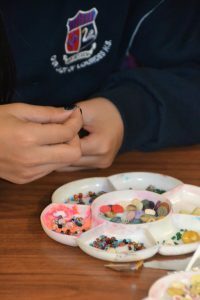 The children then used coloured chalks to build up layers of colour before sticking down their creations. 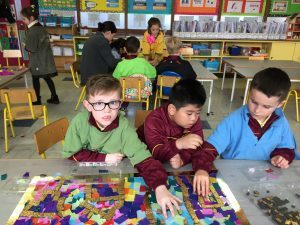 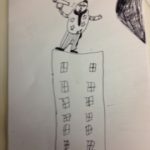 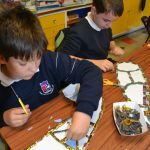 4th class were reading the novel ” Serefina and the Twisted Self”, they were really engrossed in the story and the characters so i decided to focus on this for several weeks of their creativity in the classroom workshops. 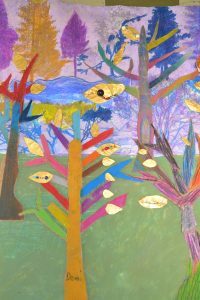 Part of the novel takes place in a forest where Serefina runs from the evil side to the magical side. 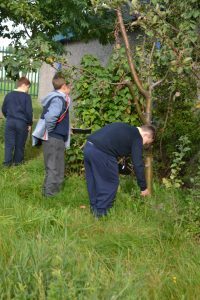 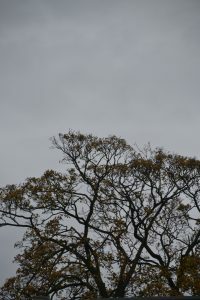 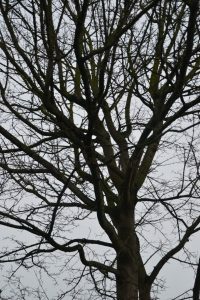 we started by going outside and examining the silhouettes of the trees. 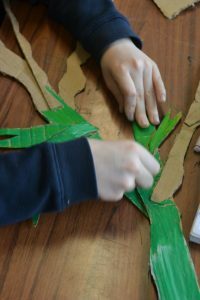 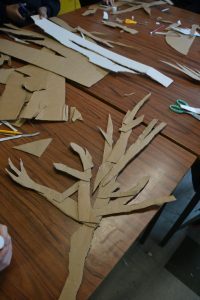 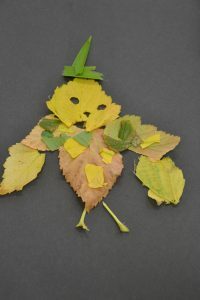 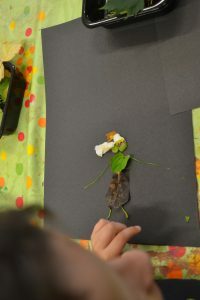 The children then returned to class and began constructing their own individual silhouette of a tree in card. 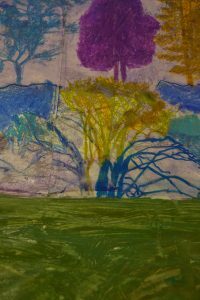 The plan was to put all the trees together to create a magical forest. 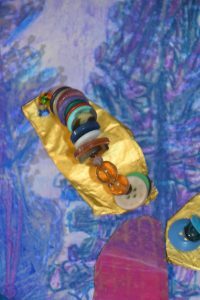 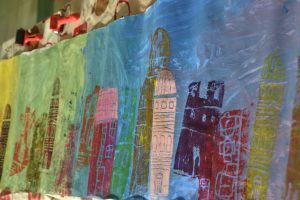 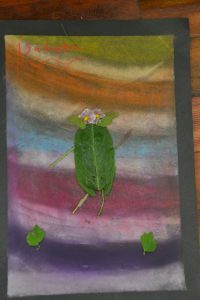 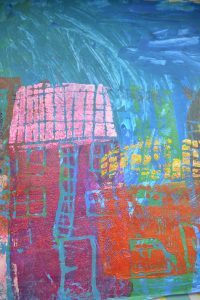 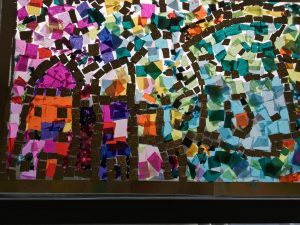 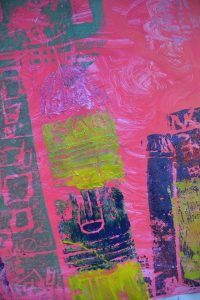 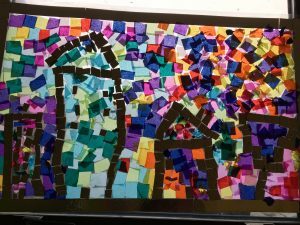 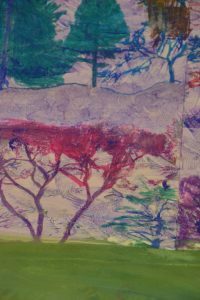 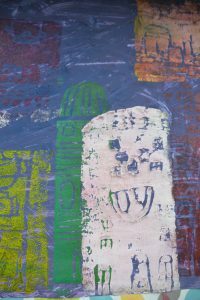 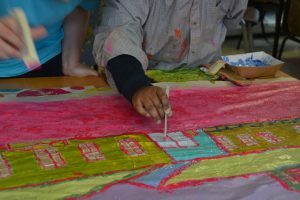 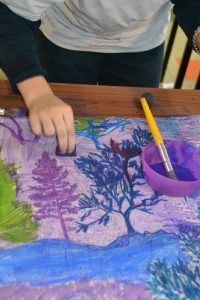 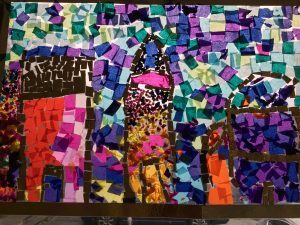 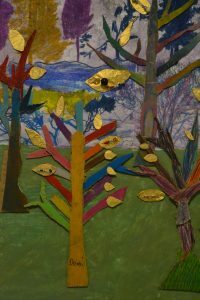 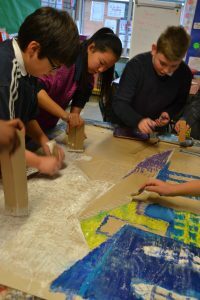 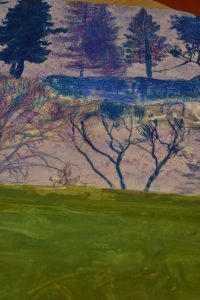 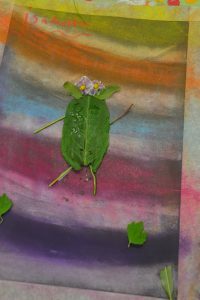 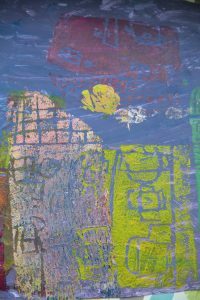 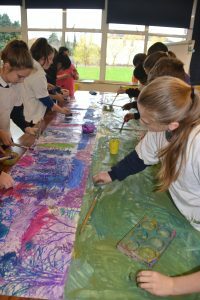 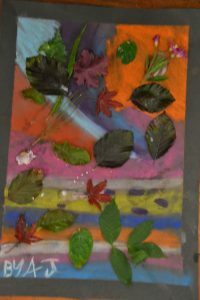 We needed a lrge sheet of backing paper to paint in the background and while searching for sometihing suitable i cam across wallpaper that had silhouttes of trees on it, we used this as part of our backdrop, using oil pastels the children added colour and blended it to create a magical setting.. 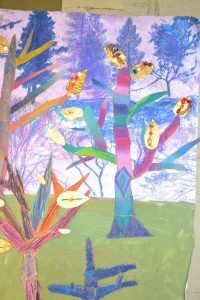 They painted the lower half as ground cover for the woods and sponged a watery mix over the pastel trees.